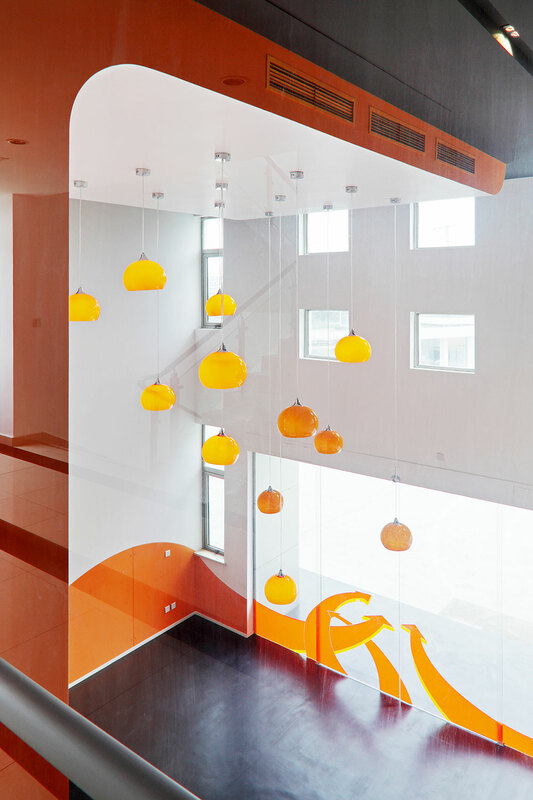 Detail For this office we were required to design specific areas such as the entrance and meeting rooms. 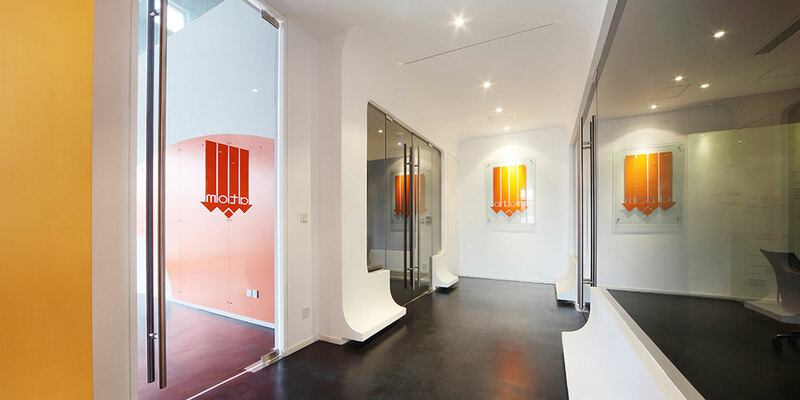 We took inspiration from the arrows in the logo, which, in the entrance area, are transformed in dynamics arrows crossing the space. 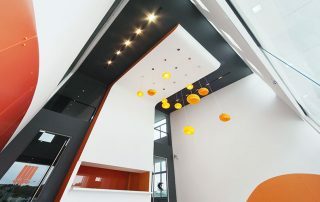 The reception is centrally located and its front part vertically crosses the 7 meters height room, continuing on the ceiling. 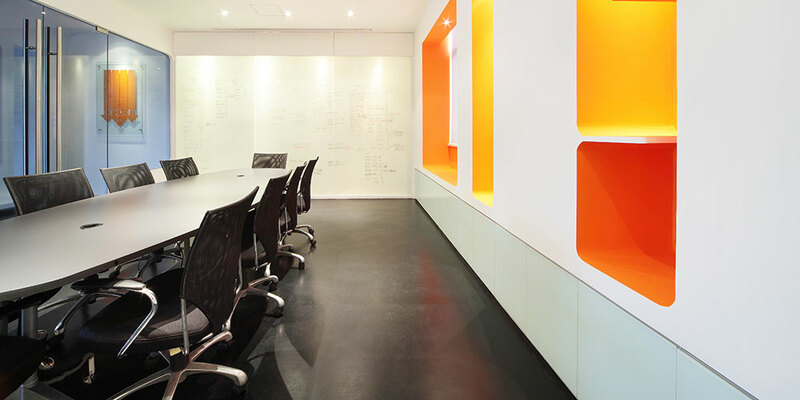 No strait corners, and generally all round shapes characterises the space, giving it a very modern feeling. 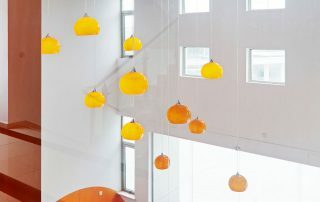 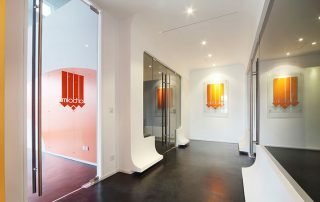 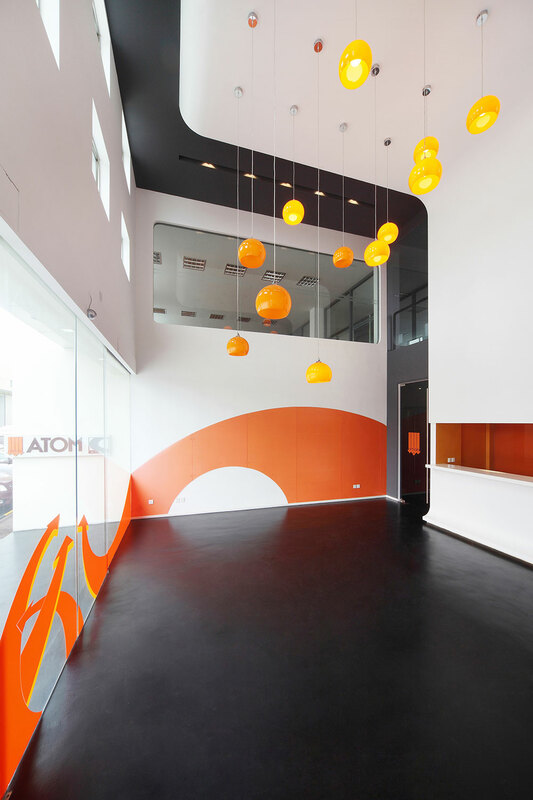 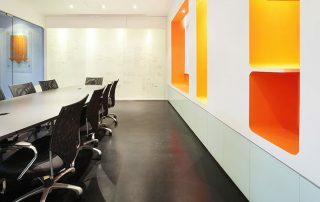 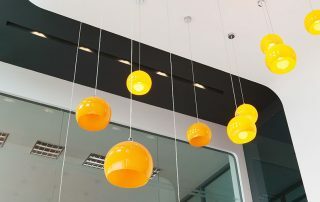 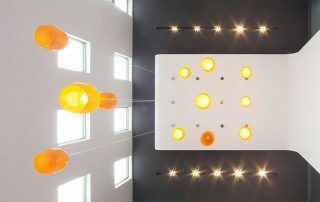 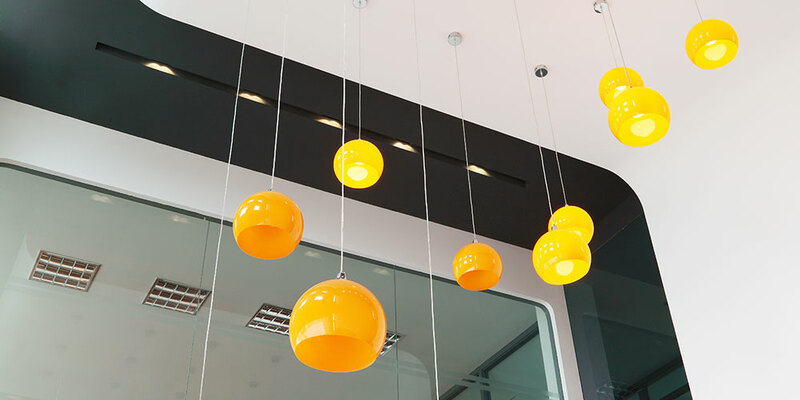 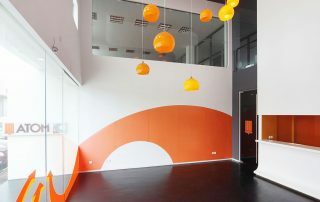 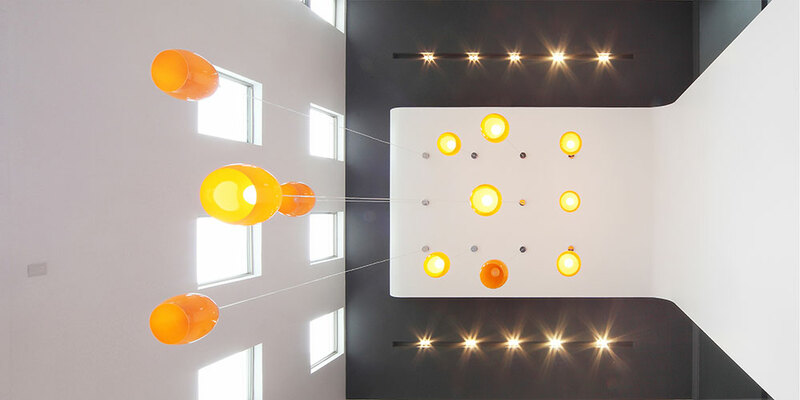 Orange white and gray, the corporate colours, are the main actors of the space.